Old Dominion Tory stirs nostalgia for the vanished Brahmin wing of the Massachusetts GOP. It has been a long time since the Bay State Yankee was a lively political animal in the Republican zoo. (What Saltonstalls and Lodges are left apparently are voting for Deval Patrick.) The Yankees aren't my tribe, and by the time I reached voting age the Mass. GOP was moribund, when not downright laughable. 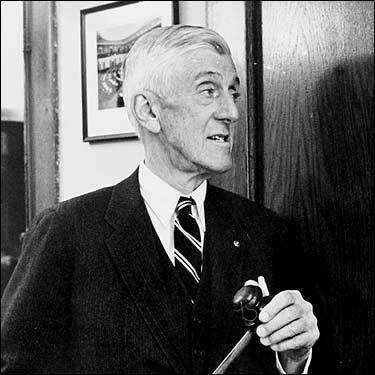 But today, when Rex Mottram has superseded the Stimsonian ideal in Massachusetts politics, one does look back wistfully on a time when the state's senior senator was a 10th-generation Harvard-educated gentleman farmer who carried cartons of fresh eggs from his Dover farm to Washington. And against Deval Patrick's and Kerry Healey's McMansions, give me John Sears' book-lined Beacon Hill study.